Critics have hailed Michael Schneider as “a pianist with exceptional insight” and a “performer with great panache” in performances across the states and overseas to Poland and France. Recently championing the music of Franz Liszt, Michael was awarded the ‘Demonic Liszt’ Prize at the Competition Internationale held in Sante Fe, New Mexico and won six awards at the Los Angeles International Liszt Competition, including first prize in the Concerto Division and first prize in the Longer Work Category (Dante Sonata). In 2005, he was the 4th prize winner in the 3rd International Franz Liszt Competition held in Wroçlaw, Poland. In May 2008, Michael performed Liszt’s Dante Sonata in the Library of Congress (Washington DC) for the American Liszt Society Annual Festival. Mr. Schneider has performed in such venues as the legendary château of George Sand in Nohant, France, performing an all-Chopin recital as a guest artist in the International Chopin Festival, and Carnegie’s Weill Recital Hall as a prizewinner of the Frinna Awerbuch International Piano Competition, also winning the prize for the best performance of a work by an American composer. Recently he was a featured guest artist at the Music Festival of the Hamptons, directed by Lukas Foss. In the ’07-’08 season, Michael performed the Beethoven Triple Concerto with the Irving New Philharmonic Orchestra, the Poulenc Concerto for Two Pianos with the UT University Orchestra, and Gershwin’s Rhapsody in Blue and Concerto in F with the San Angelo Symphony. Other concerto appearances have been with the Elgin Symphony Orchestra (IL), the Richardson Symphony Orchestra (TX), the Bartlesville Symphony Orchestra (OK), the Harding University Orchestra (AK), and the Big Spring Symphony (TX). Mr. Schneider is a laureate of many international piano competitions, including the 10th Pacific Piano Competition in Vancouver, the 7th San Antonio International Piano Competition, the 4th International Paderewski Piano Competition held in Poland, the Kosciuszko Foundation Chopin Piano Competition in New York, the Texas Steinway Society Career Development Award, and the Grace Welsh Prize for Piano in Chicago. Mr. Schneider’s love for unusual works takes shape in many forms. In 2004, he brought the little-known Piano Concerto by Jules Massenet to Oklahoma as a guest artist of the Bartlesville Symphony Orchestra, home of the summer OK Mozart Festival. As a devotee of the music of Ignaz Jan Paderewski, Mr. Schneider brings this music to a variety of venues. At the 8th Annual Paderewski Festival in California, his performance of the grueling Paderewski Sonata prompted three standing ovations and three encores. Other recent projects include performances of the Schubert Trout Quintet at the Palace Theatre in Grapevine, a solo concert of the works of Louis Moreau Gottschalk, and collaborative performances with violinist Jun Iwasaki (now concertmaster of the Portland Symphony Orchestra) and violinist Frank Almond (concertmaster of the Milwaukee Symphony). 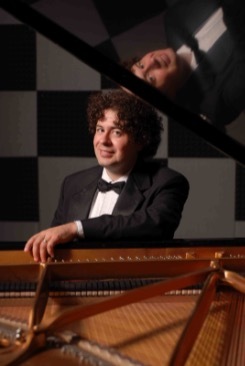 Michael is the creator and artistic director of the San Angelo Piano Festival (SAPF), a classical music festival in West Texas with an emphasis on the piano repertoire. Annual events include guest artist recitals, impromptu musicales, a composition contest, and a young artist program that includes a competition, master classes and a showcase recital. The 5th Festival took place in April 2009 and plans are underway for the 6th festival in March 2010. Mr. Schneider is an audience favorite at Pianofest in the Hamptons, an eight-week festival that he attended for seven summers. In the Hamptons, he has played for renowned teachers Arie Vardi, Veda Kaplinsky, Paul Schenly, and Van Cliburn silver-medalist Antonio Pompa Baldi. In 2004, Mr. Schneider was a Master Class Fellow in the Irving S. Gilmore International Keyboard Festival, where he performed for Piotr Anderszewski and Angela Hewitt. He has also performed in master classes for Maria Curcio, Claude Frank, and Peter Frankl. Mr. Schneider spent two years as adjunct Professor of Piano at Youngstown State University in Ohio, and also as adjunct at the University of Mary Hardin-Baylor in the fall of 2010. He received his Doctorate of Musical Arts Degree in piano performance at the University of Texas in Austin where he studied with Professor Anton Nel as a recipient of the Joe and Teresa Long Scholarship and William Race Memorial Scholarship.